Trump, at arguably the weakest point of his presidency, seized on abortion during his State of the Union address Tuesday to re-engage on a divisive cultural issue, using both religious rhetoric aimed at conservative Christians and scathing attacks on Democratic lawmakers who support abortion rights -- in particular, Virginia Gov. Ralph Northam. Trump went after Northam -- by title, not by name -- in his speech and incorrectly claimed that the governor "stated he would execute a baby after birth." As the speech was being drafted, Trump had wanted to use even harsher language about Northam, and call him out by name, but he was reined in by aides, according to three White House officials and Republicans close to the White House who spoke on condition of anonymity because they were not authorized to publicly discuss private conversations. 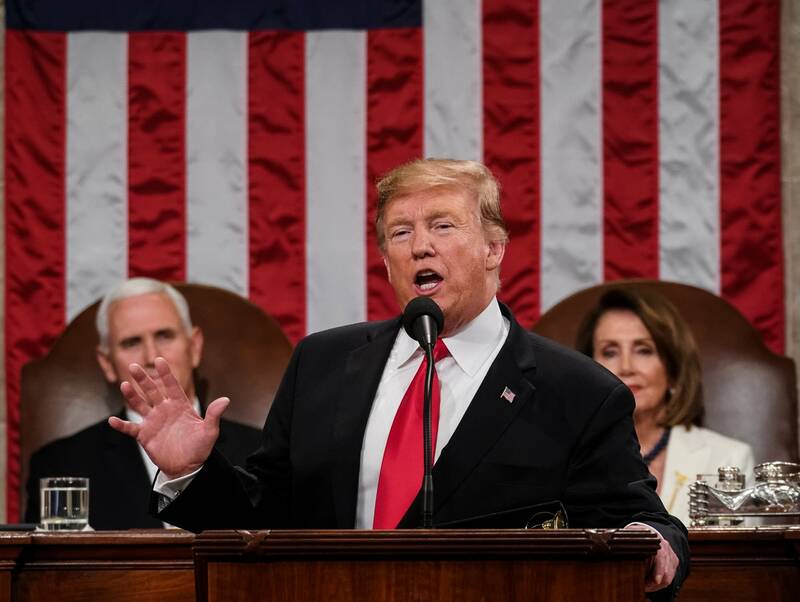 "To defend the dignity of every person, I am asking Congress to pass legislation to prohibit the late-term abortion of children who can feel pain in the mother's womb," Trump said Tuesday. "Let us work together to build a culture that cherishes innocent life. And let us reaffirm a fundamental truth: All children -- born and unborn -- are made in the holy image of God."